What Makes the Jade Beach Condos the Best Option for Condo Buyers? Why Should You Go for Jade Beach Apartments for Sale? The luxury condominiums that have been constructed in Sunny Isles Beach, Florida, are unsurpassable in their popularity. Condo buyers, from over the world, visit this very well-known tourist destination and fall in love with the magnificent condominiums that adorn the glorious Sunny Isles Beach. One of the most desirable condominiums located in this gorgeous location is Jade Beach. This spectacular condominium is one of the most beautiful constructions in this area and is undoubtedly a very desirable place to live in. Jade Beach is located at 17001 Collins Avenue, Sunny Isles Beach, which is the heart of Sunny Isles Beach, Florida. 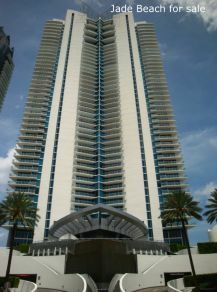 The Sunny Isles Beach in Florida is about 30 blocks, located directly on the ocean and it offers many brand-names, luxury residential high-rises. This is one of the best places for buying real estate properties in Florida. Many well-known real estate companies offer luxury properties in Sunny Isles Beach for sale. And, if you want to buy condos of Jade Beach for sale, you may contact these real estate companies. Buying a condo in Jade Beach can be a very profitable investment for the future, as the value of the properties in this location is rising high. If you are interested in buying an apartment in Jade Beach, you should contact One Sotheby’s International Realty located directly across the street at 18288 Collins Ave. To get every detail regarding this luxury condominium, you may visit our website which offers detailed information regarding various offering for sale and rent at the Jade Beach. This website also covers sold history as well as in-depth statistics. You will also be able to see other information about this condominium, as well as get an idea of its residential features and the luxury amenities that this condominium provides. Many people consider buying luxury vacation properties in Sunny Isles Beach. As this is a very popular holiday destination, numerous tourists from every corner of the world gather in this area to enjoy their vacation. So, if you are looking for a wonderful vacation property, close to the ocean, you can consider buying a unit in Jade Beach and enjoy your vacation in this lavish condominium with your family, in the lap of nature. In this splendid condominium, you will find outstanding residential features and wonderful amenities that will impress you from every aspect, and make you thoroughly satisfied with your purchase. The appearance of this condominium, as well as its units, is stunning. Jade Beach gives you every luxury and comfort that makes life pleasurable and comfortable. Whether you stay in this condominium during your vacations or permanently, you are going to cherish the idyllic moments you have spent here amidst great comforts, luxuries, and bliss. Contact us to speak with professional real estate sales agent Lana Bell at (305) 336-0457.